1. We had a fantastic service last night! It was definitely our best Wednesday Night crowd since we came to Cornerstone. We had 58! The church was averaging 50-55 in attendance on Sunday Morning during April and May. Now, to hit that on Wednesday is exciting. Our student minsitry, CSI, had 22. I'm so proud of our leaders. They are doing a wonderful job. 2. Tank Johnson is now a Dallas Cowboy! Tank was suspended by the NFL for a violation of the NFL's player conduct policy. He was convicted of a crime dealing with guns. I have heard many fans and journalists that don't think he should be allowed to play in the league. As for me, well, I believe in second chances. Grace gives us a second chance. I know this is professional sports, but in life we serve a God of grace and forgiveness. I think we should encourage people who are trying to get their lives straight. We should forgive and let him move on with his life. Tank, you don't deserve a second chance. Grace and Forgiveness gives you one! I'll support you as a fan of "America's Team." Welcome aboard and we'll see you on the field in November! 3. Tonight, I get to go to Mady's second soccer practice. I'm excited. She is so cute. 4. 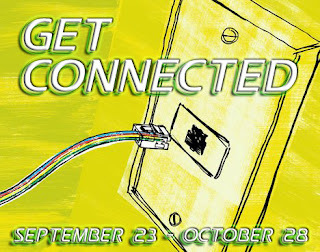 This Sunday, I'm starting a brand new series called "Get connected." We want people to connect to God and to others at Cornerstone. This Sunday, we are looking at characteristics of people who connect to God in worship. I've included the graphic for the series. Check it out!